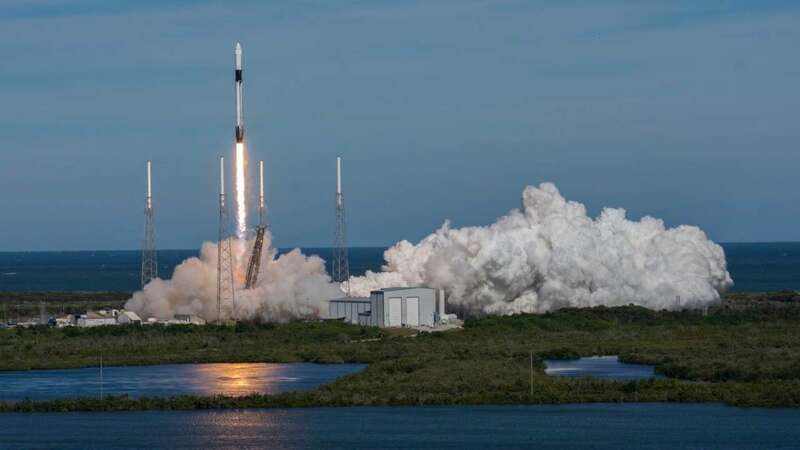 Dec 6 (AZINS) SpaceX on Wednesday blasted off its unmanned Dragon cargo ship, loaded with supplies, science experiments and food for the astronauts living at the International Space Station but failed to successfully land its booster afterwards. "We have had a great liftoff," said SpaceX commentator John Insprucker, as the Falcon 9 rocket soared into the sunny, blue sky over Cape Canaveral, Florida at 1:16 pm (1816 GMT), carrying 5,600 pounds (2,500 kilograms) of gear.The mission was SpaceX's 16th mission for NASA as part of a long-term contract to ferry supplies to space.The Dragon cargo ship successfully made it to orbit, which was the primary goal of the launch.But the tall portion of the rocket missed its goal of securing an upright landing on solid ground at Cape Canaveral's Landing Zone 1. After separating from the second stage, and firing its engines to return to Earth, a video camera on board showed the first stage spinning. "Grid fin hydraulic pump stalled, so Falcon landed just out to sea," CEO Elon Musk said on Twitter. "Appears to be undamaged and is transmitting data. Recovery ship dispatched." Later, Musk posted the full video from on board the booster, showing the rocket spiral, then stabilise, then crash sideways into the water. "Engines stabilized rocket spin just in time, enabling an intact landing in water! Ships en route to rescue Falcon," he wrote. The rocket was initially meant to take off Tuesday, but was delayed for a day after engineers discovered moldy mouse food in one of the science investigations designed to study the effect of microgravity on the immune system.The bad food was replaced ahead of Wednesday's launch.